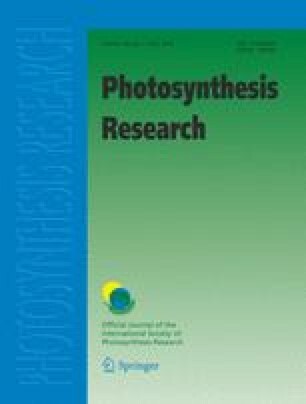 The earliest reductant for photosynthesis may have been H2. The carbon isotope composition measured in graphite from the 3.8-Ga Isua Supercrustal Belt in Greenland is attributed to H2-driven photosynthesis, rather than to oxygenic photosynthesis as there would have been no evolutionary pressure for oxygenic photosynthesis in the presence of H2. Anoxygenic photosynthesis may also be responsible for the filamentous mats found in the 3.4-Ga Buck Reef Chert in South Africa. Another early reductant was probably H2S. Eventually the supply of H2 in the atmosphere was likely to have been attenuated by the production of CH4 by methanogens, and the supply of H2S was likely to have been restricted to special environments near volcanos. Evaporites, possible stromatolites, and possible microfossils found in the 3.5-Ga Warrawoona Megasequence in Australia are attributed to sulfur-driven photosynthesis. Proteobacteria and protocyanobacteria are assumed to have evolved to use ferrous iron as reductant sometime around 3.0 Ga or earlier. This type of photosynthesis could have produced banded iron formations similar to those produced by oxygenic photosynthesis. Microfossils, stromatolites, and chemical biomarkers in Australia and South Africa show that cyanobacteria containing chlorophyll a and carrying out oxygenic photosynthesis appeared by 2.8 Ga, but the oxygen level in the atmosphere did not begin to increase until about 2.3 Ga. I thank Minik Rosing (Geology Museum, Copenhagen) for showing me his rock samples and for teaching me some basic geology. I also thank Mette Miller (University of Southern Denmark) and Don Bryant (Pennsylvania State University) for critical comments on earlier versions of this article. Thanks are also due to two anonymous reviewers for additional valuable comments. On the basis of Tian et al. (2005), I assume a volcanic outgassing rate of ca. 9×1010 H2 molecules cm−2 s−1, which is 5 times that of today due to higher heat flow in the past (Turcotte 1980). This is equivalent to ca. 3×1018 H2 cm−2 year−1. From Rosing and Frei (2004), the accumulated stratigraphic thickness of pelagic shale in the exposed section is ca. 20 m, suggesting that a steady sedimentation of pelagic organic matter took place during hundred thousands to millions of years. I assume that the sedimentary rock took ∼ ∼106 years to form, and that ∼ ∼3×1024 H2 molecules cm−2 were outgassed during this period. I assume that essentially all the H2 was used for CO2 fixation according to the equation, CO2 + 2H2 → CH2O + H2O. The amount of carbon fixed would have been ∼ ∼1.5×1024 C atoms cm−2 or 2.4 g atom C cm−2 or 28 g C cm−2. For a rock thickness of 20 m, the concentration of C (as graphite) would be 0.014 g cm−3, and assuming a rock density of 2–3 g cm−3, the C content would be 0.5–0.7%.